Tony Bellew's bid to become the undisputed cruiserweight champion ended in tears as he was stopped in the eighth round by Oleksandr Usyk in Manchester. Underdog Bellew started brightly but was unable to hold off the excellent Ukrainian, who systematically picked off his rival before finishing the bout with a stunning left hand. 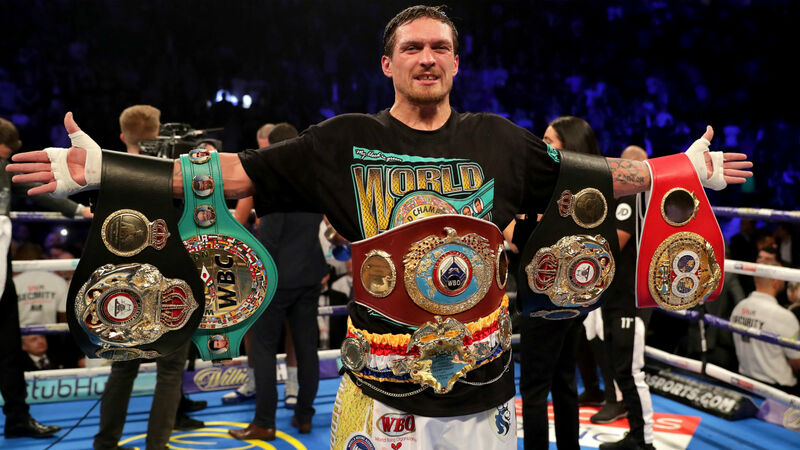 The victory extends Usyk's perfect professional record to 16-0, retaining his IBF, WBA, WBC and WBO titles in the process with another demonstration of his undeniable talent. The champion did not have it all his own way in the main event, however, as Bellew – cheered on by a raucous crowd – started brightly. Having made clear his plans to walk away from the sport after the bout, 'The Bomber' looked intent on making the most of his high-profile swansong in the early rounds. Playing to the crowd, he slapped his gloves onto his thighs in the second round, beckoning his rival in, before staring him down with a wide-eyed look after being caught by a counter as the bell sounded. He also shook off a left hand with a smile in the next, but Usyk's high work-rate and ramrod jab allowed him to assume control with each passing round. The pace of the contest began to tell on Bellew, making a return to the cruiserweight division after two wins over David Haye at heavyweight, as the early optimism was beaten out of him. A looping left put Bellew down, the Liverpudlian laid out on the canvas with his head dangling out between the ropes like washing in a strong wind. While he made it back to his knees before being counted out, Bellew was in no fit state to continue. His hopes of bowing out in style were over, dashed by a brilliant foe who confirmed his status as the best at the weight limit.